The first trailer for Deadwood: The Movie is here. This is something that has been discussed for ages and HBO, after all that time, finally managed to get serious about it and has pulled the trigger. 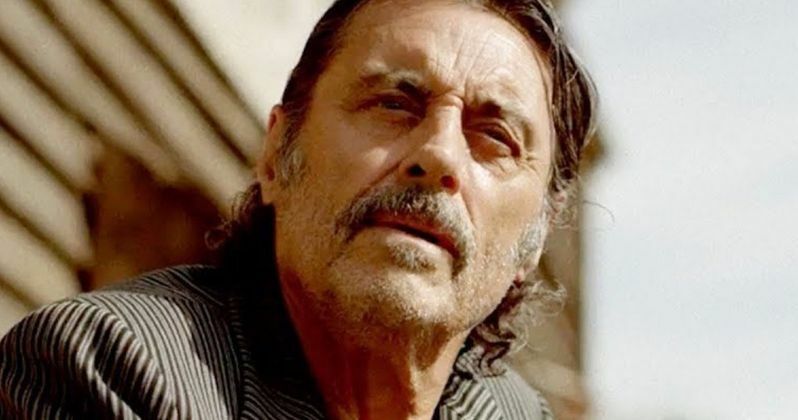 Now, we have some real proof that Deadwood is returning to help give fans of the series some closure in the form of this violent and gritty first teaser trailer. What's more, the teaser brings with it the confirmation of an official release date for this long-awaited special event. Deadwood: The Movie will arrive on May 31. We had previously heard of an approximate release date, but now we know exactly when this highly-anticipated revival is going to air and, luckily, HBO isn't making us wait all that long. The footage opens with a shot of Al Swearengen overlooking his domain before we get some quick glances of quite a few returning favorites in various settings. Seth Bullock is heavily focused on and, as expected, there is a great deal of violence. Series creator David Milch is behind the movie both as a writer and executive producer. South Dakota celebrates its statehood. Former rivalries will be reignited, alliances are tested and old wounds reopened, as all are left to navigate the inevitable changes that modern life and time have brought. Returning cast members include Ian McShane, Timothy Olyphant, Molly Parker, Paula Malcomson, John Hawkes, Anna Gunn, Dayton Callie, Brad Dourif, Robin Weigert, William Sanderson, Kim Dickens, Gerald McRaney, Sean Bridgers, W. Earl Brown and Keone Young. Jade Pettyjohn also joins as a new cast member. Daniel Minahan is in the director's chair. Carolyn Strauss, Daniel Minahan, Gregg Fienberg, Scott Stephens, McShane and Olyphant also serve as executive producers. Deadwood, the series, was set in the 1870s, during the richest gold strike in U.S. history, which drew a number of people to a settlement in the Black Hills of what is now the state of South Dakota. The series originally aired from 2004 to 2006 for a total of 36 episodes. Unfortunately, it faced an unceremonious cancellation due to a dispute between Paramount Television and HBO. Hence, those who enjoyed the critically-acclaimed series never got the resolution they deserved. Until now. This teaser doesn't dig too much into specifics. Originally, HBO wanted to wrap things up with two different movies. David Milch had also previously indicated that a fourth season of the show would have centered on actual disasters that occurred in the town such as a huge fire and a plague outbreak. Perhaps some of that could still make its way into the movie? Fortunately, we don't have to wait all that long to find out. Be sure to check out the Deadwood: The Movie teaser trailer from the HBO YouTube channel below.